I posted this, but here it is again. 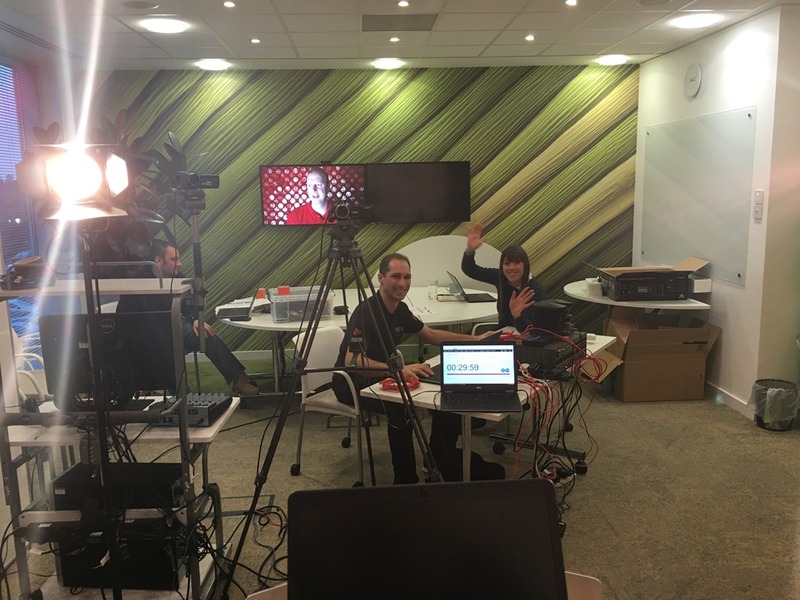 A a shot from our engineer, behind the scenes of my live talk today. 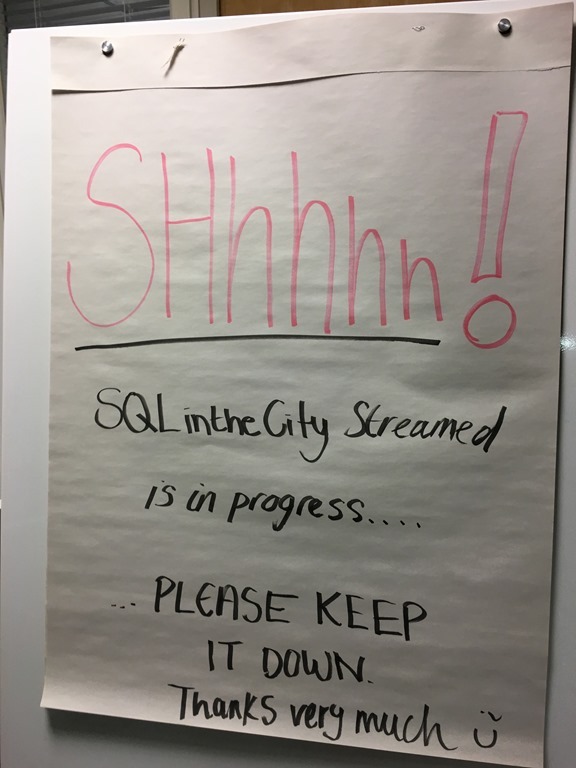 When we decided to stream SQL in the City this year, I wondered how things would go. We’ve debated about a studio at the Redgate office but never built one. However, we did take over a room for this event, one on the top (2nd) floor, in a corner of the building away from most desks. We didn’t have a red “on the air” light, but our engineers did put a whiteboard in the hall outside. Inside, we had a backdrop and podium for presenters, tape on the floor for our marks, and multiple cameras. Our setup allowed for a few microphones, multiple video feeds, and a few monitors on the wall. My view from the podium shows a few desks and the monitors on the back wall. One had the live stream, and the other was hooked up to a laptop where Annabel would type questions that we could see (or other notes). The event kicked off with Annabel providing an opening each day. Here is the opening segment from Wednesday morning. I watched most of the first day in the room, and then did what most presenters did the second day; I’d work at my desk and then pop in 10 minutes or so before my talk. There were lots of wires, and while most were taped down to the floor, we had to be careful about where we walked. I suspect next year we’ll have a better setup. At least, I hope we do, and hope that we actually do more streamed content throughout the year. I think this was a success, and certainly an easier way for me to present content. It was strange to not have an audience, but it helped to have a few people in the room that were watching and paying attention. 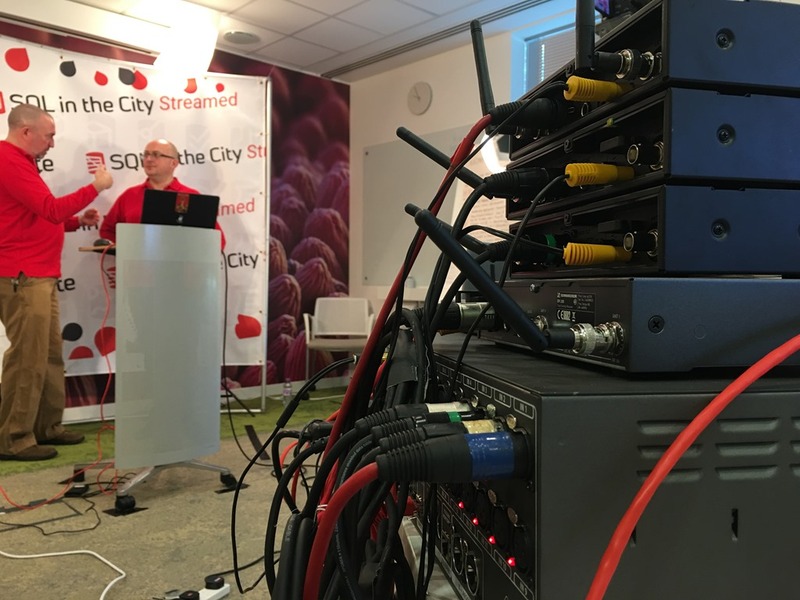 While I really do enjoy live events and audiences, and I am pushing for a live SQL in the City 2017 in the UK, I also know that streaming and video broadcast is changing for all sorts of media. 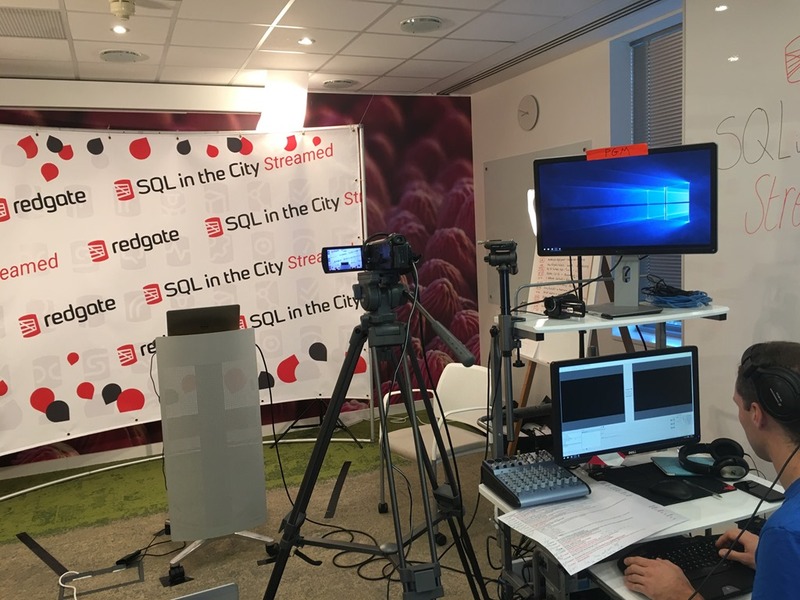 I’d like to experiment and do more here, and might do some more from home in 2017, but I do hope we’ll have more streaming from Redgate, perhaps even a Redgate TV show running on a regular basis. 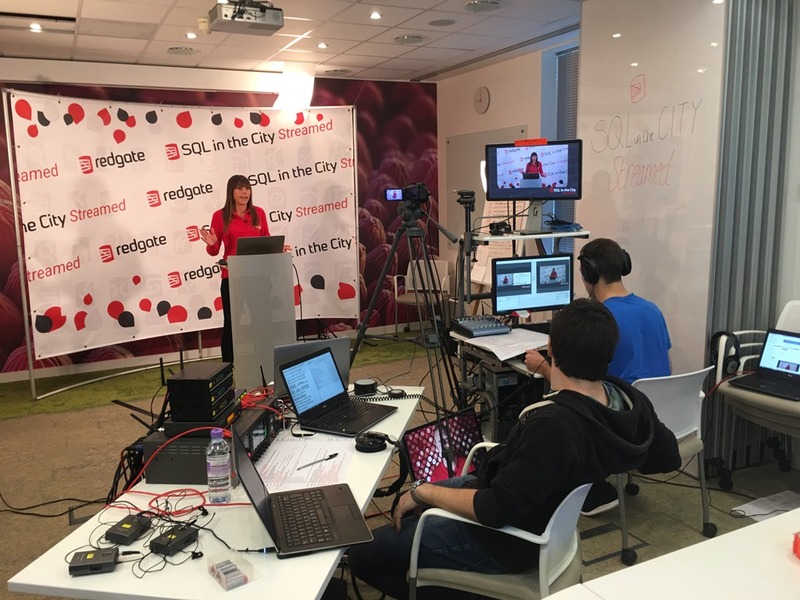 This entry was posted in Blog and tagged Redgate, sqlinthecity, syndicated. Bookmark the permalink.